Summer Board Meeting closes the fourth year of HETS Strategic Plan. With attendance of 22 presidents and representatives from our institutional members; HETS celebrated its summer Board Meeting on June 28 and 29, 2016 at Lehman College in New York. The Board meeting closes the academic year 2015-2016 with positive report on our Strategic plan results, and envisioning numerous new projects for next academic year, including further development of the recently implemented HETS Commons initiative. Among the news HETS shared with the Board were highlighted the major activities to support the organizational programmatic goals such as: the development of tailored online workshop offerings; additional tools and services added to the HETS Virtual Plaza, also a summary of the Student Leadership Showcases held in PR and NYC, the 2016 Best Practices Showcase Conference, and the election of new Board Officers. Other HETS initiatives shared with the Board included; the results of the Online Journal publication and approval of its publishing agreement, HETS Spanish online workshops and the self-paced online workshops in English. During the second day of meeting, HETS Chair Fernós welcomed Mr. Matt Baker, Education Head at Dialpad Inc. who recently accepted our invitation to become one of our Corporate Members. In addition to Dialpad, representatives from Transworld Systems shared with Board Members their latest trends to support Hispanic Serving Institutions and its educational community. 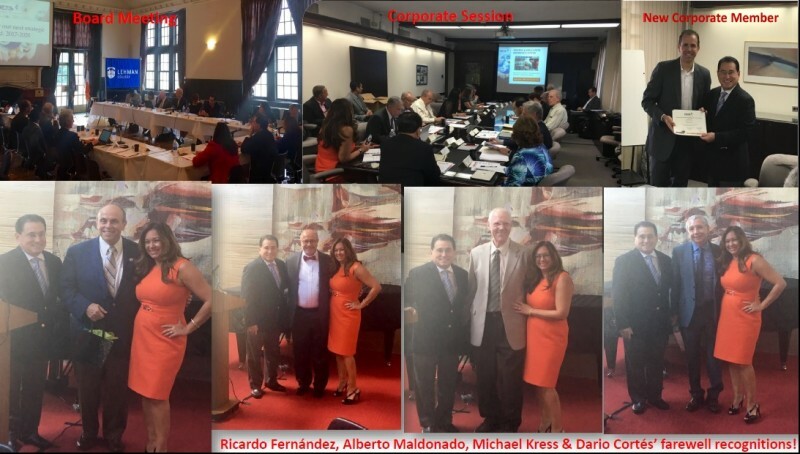 To close the meeting, after the Corporate Session, HETS recognized its Outstanding Leadership who have served the Hispanic community at their institutions and will be retiring this academic year. 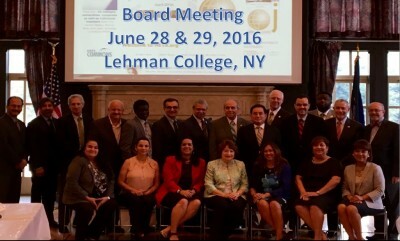 Lehman College collaborated with a fine farewell lunch and live talented musicians to honor: Dr. Ricardo Fernández, President, Lehman College (CUNY); Dr. Dario A. Cortés, Vice President and former President, Berkeley College; Mr. Alberto Maldonado-Ruíz, Esq., Chancellor Universidad del Este (AGMUS); and Dr. Michael Kress, Vice President, IT, College of Staten Island (CUNY). We wish you all the best! We look forward to continue strengthening our HETS initiatives the upcoming year to foster a greater collaboration among all of our affiliates and widen our partnerships with other organizations, as we continue developing new strategies to innovate and support our services. For more information about HETS projects, please contact the HETS office anytime via email info@hets.org or at 787-250-1912 extensions 2372 or 2373.